Kava can help promote feelings of well being and calmness. But what if you want to kick your Kava up a notch, and accentuate it with something stimulating and vitamin-rich? This is where Maca Root comes in. 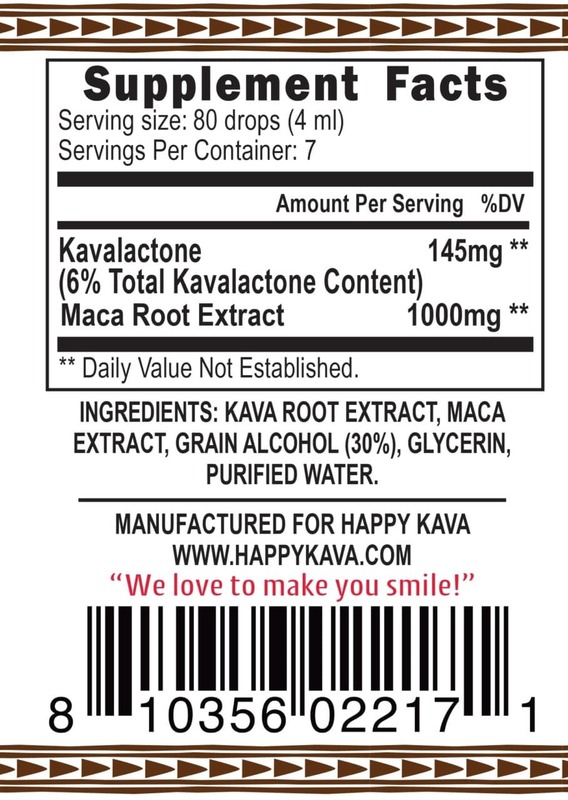 This is the Happy Kava Maca Root Kava Tincture Blend. Happy Kava Brand has expertly formulated a line of Kava Tinctures that take the best of organic or wildcrafted herbs. There are a number of herbs that have made it into the mainstream. Even those not super familiar with different herbal products have now probably at least heard of the 12 herbs we have chosen to blend with our Noble Kava Root with the Happy Kavalactone lineup. Kava can help promote feelings of well being and calmness. But what if you want to kick your Kava up a notch, and accentuate it with something stimulating and vitamin-rich? This is where Maca Root comes in. Many herbal blends combine only a few milligrams of each herbal ingredient in their formulations, making it nearly impossible to feel the effects of any of them. 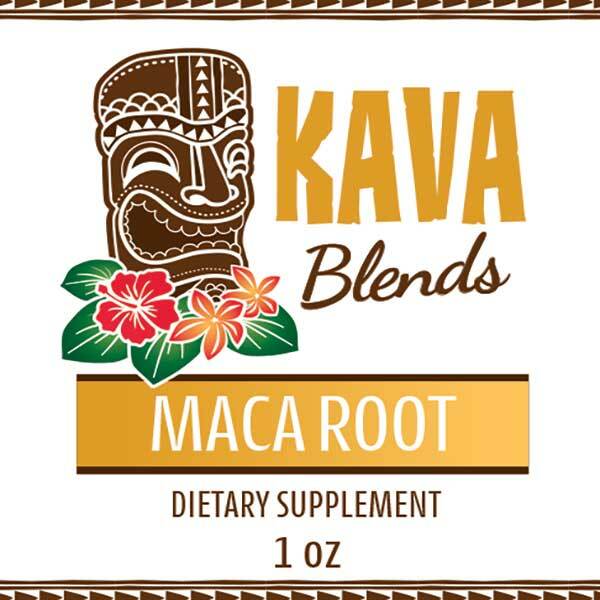 Herbs need to be concentrated, and that is exactly what Happy Kava Brand has accomplished with this Maca Root Kava Tincture Blend. Maca Root (Lepidum meyenii) is an ancient and revered adaptogen treasured by a plethora of indigenous peoples living in the Andean mountains of South America. Cultivated for over 6,000 years maca is known as a Superfood due to its reputation for providing a wide variety of health benefits. The nutritional value of the dried root resembles that found in cereal grains such as maize, rice, and wheat. Our Maca 0.5% glucosinolates has 50-100 times the glucosinolates of broccoli, cauliflower, or cabbage, making it a true superfood! Maca root also contains free sugars for extra energy, amino acids, sterols, alkaloids, tannins, saponins, uridine, and a bevy of other beneficial constituents. We add the equivalent of one teaspoon of ground Maca Root into every serving of this tincture. We don’t add any other filler herbs that may or may not actually have the energizing properties that Maca Root has. 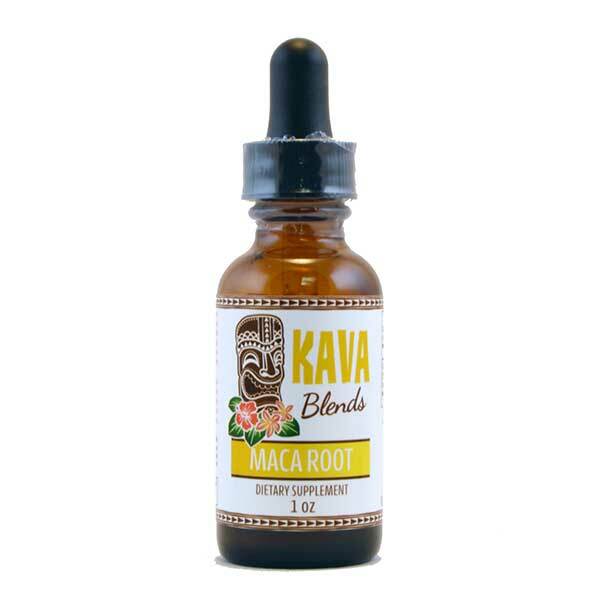 All we have in this award winning Maca Root Kava Tincture Blend tincture is pure Noble Kava root with a 2-4-6 or 4-2-6 Kavalactone lineup, and pure Maca Root extract.